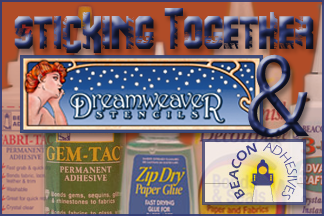 Welcome to week three of my stint as guest designer with Dreamweaver Stencils. We’ve also teamed up with Beacon Adhesives this month to create a variety of holiday projects or gift items. Be sure to visit each of our designers below for so many great holiday ideas! This key holder box has been in my garage for about three years. I picked it up at a dollar store several years ago with good intentions that never materialized. Fast forward several years and I’m in the middle of a Dreamweaver/Beacon Blog Hop for holiday projects and gifts. I remember the box and decide it’s finally time to use it. I kept this project very simple. The box was black and it opens to hold keys so bring it out during the holiday and use it to house car keys of your visitors. 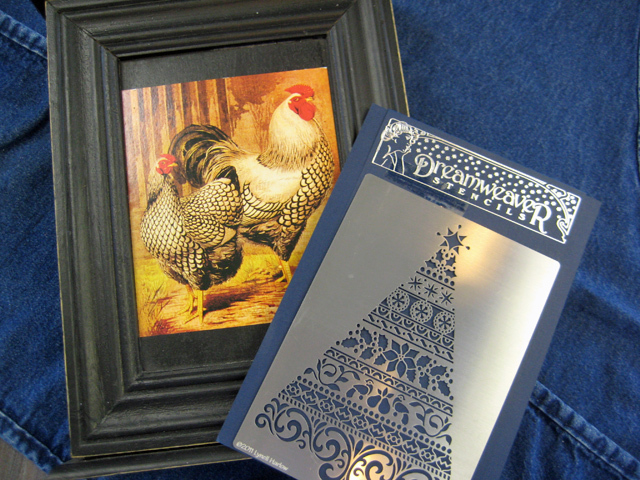 It has a paper picture of roosters on it so I primed the picture and left it to dry. 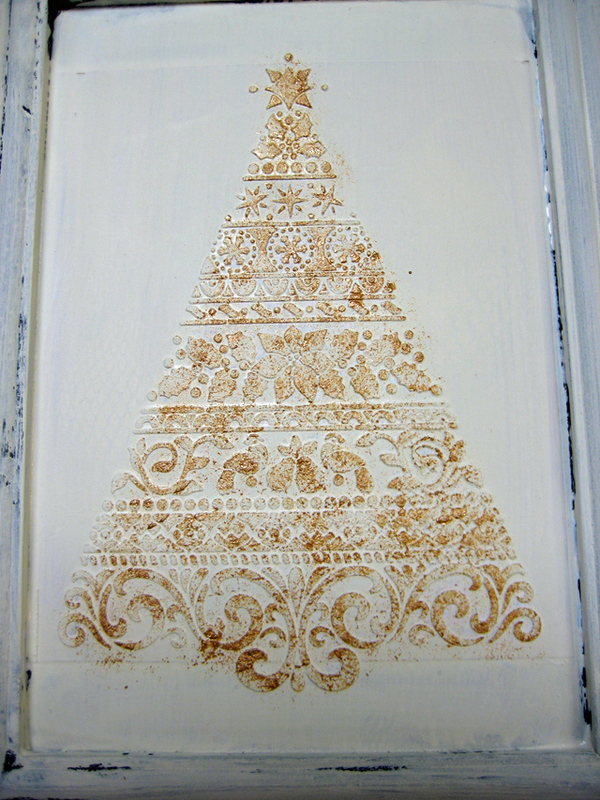 Once dry, I taped down Dreamweaver’s Stencil LX 7003 Ornate Xmas Tree and spread with Dreamweaver’s Embossing Paste. The more I use this stuff the more I’m liking it. 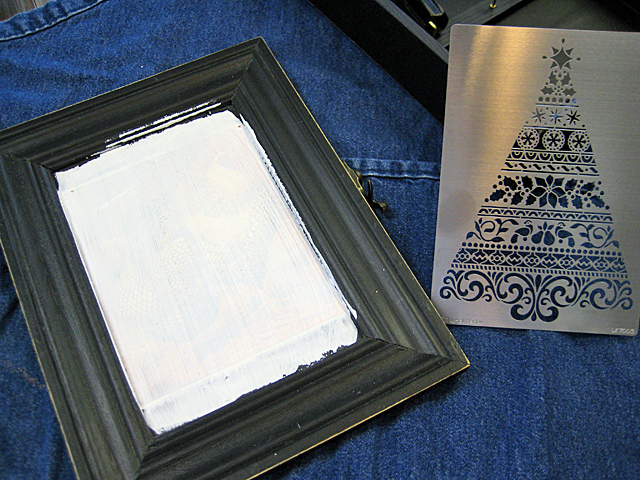 I removed the tapes, leaving one to use as a hinge to remove the stencil and placed it in water. 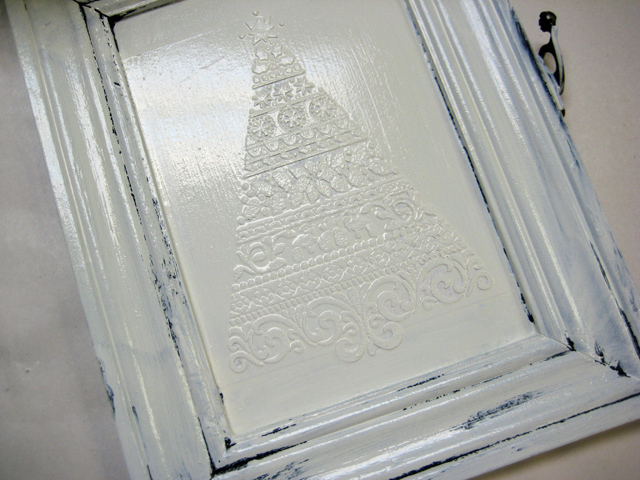 I left it to dry for a bit then came back and painted the door and over the stenciled area with a white latex paint and left that to dry. I wanted to highlight the tree with gold so used a bit of Ranger’s Adirondack Metallic Gold Paint Dabber; just lightly dabbing the gold onto the tree. Then I liked the gold so much that I decided to do a gold paint wash over the entire lid. Loved the way that turned out! I wanted to frame in the tree and did this by slicing some Heidi Swapp’s Believe Peppermint Stix paper into 1/2-inch strips. The edges are inked with Ranger’s black Archival Ink. I simply laid the strips on the lid where I was going to place them and cut the edges at an angle. I used Beacon’s Fast Finish Decoupage medium to adhere the strips. I also sealed them with the medium. Then I decided to add some gold glaze to the Fast Finish Decoupage medium and brushed it over the entire box cover and lightly wiped it off, leaving a hint of gold shimmer. 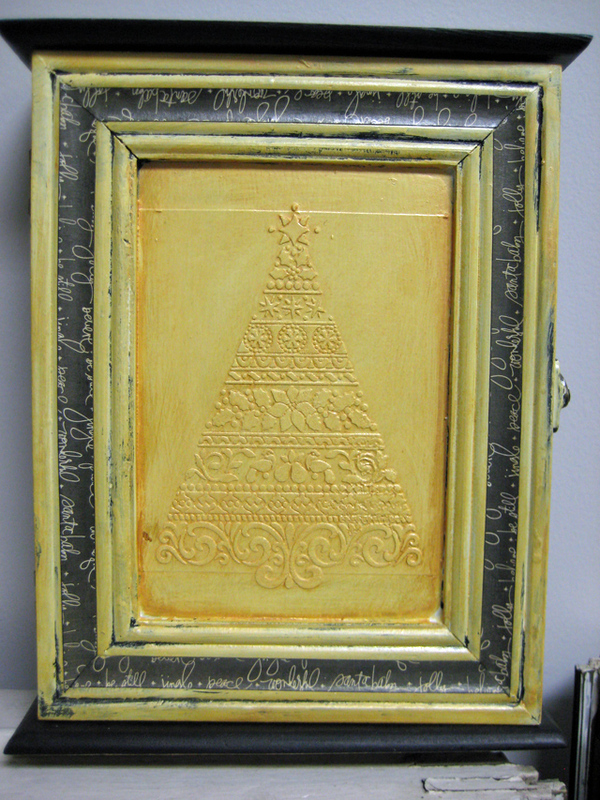 I left a heavier gold color around the inside edges of the lid to help highlight the tree even more. 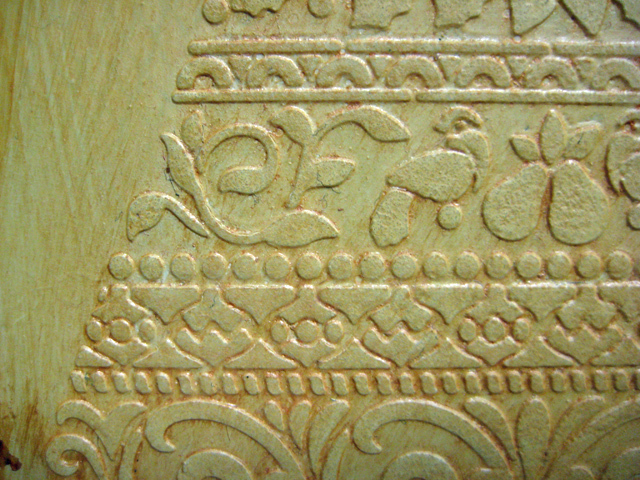 The detail I get with these stencils and paste is amazing! This is fabulous, Linda! 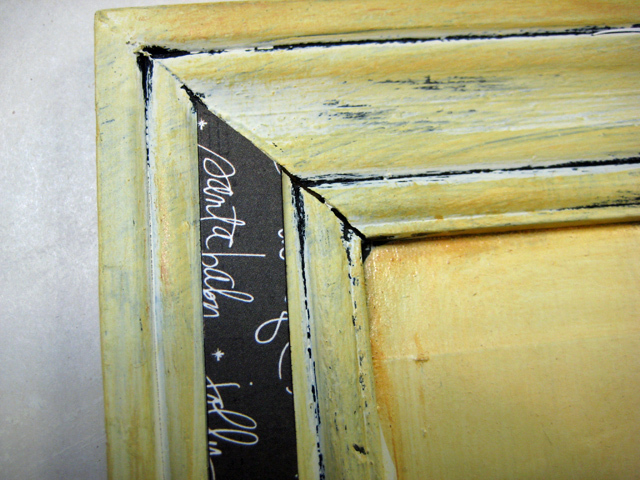 I love what you’ve done with that gorgeous stencil, and the black strips make such an impact on the frame. Great project Linda! I love how it evolved into the finished product, very cool!